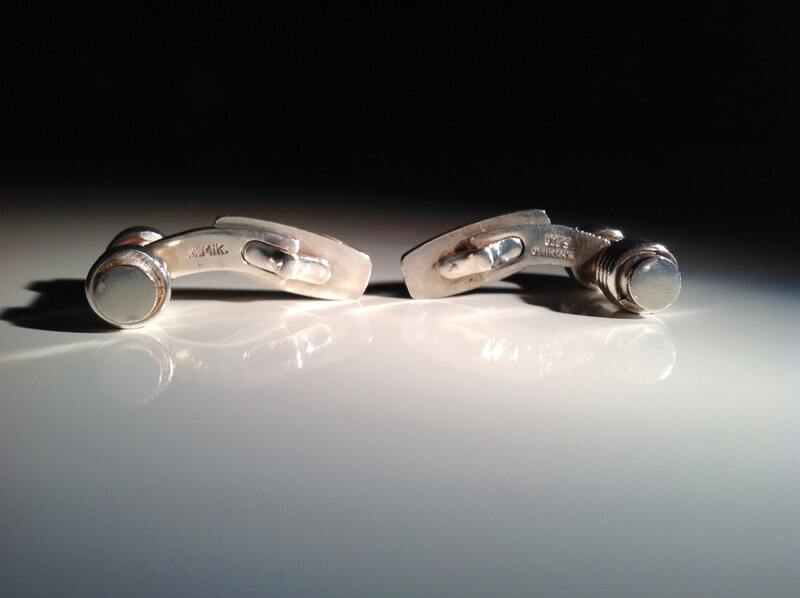 Fine pair of rare sterling silver Danish cufflinks by Andreas Mikkelsen. Some minor polishing would make this brilliant, but they are great as they are in their native vintage state. Swivel backs with lozenge button stay. Design is a sleek and modern classic rod and spiral design. 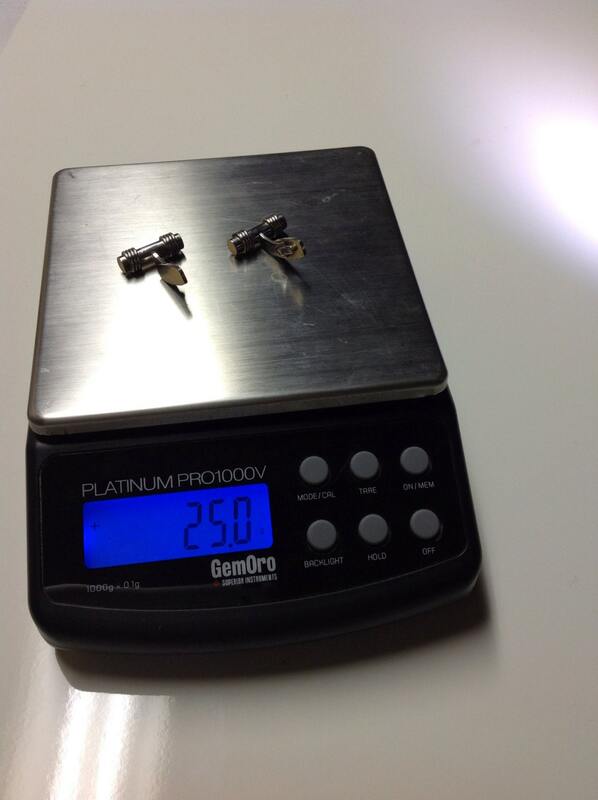 Weight is precisely 25.0 grams. Condition commensurate with age and use as shown with no major defects. 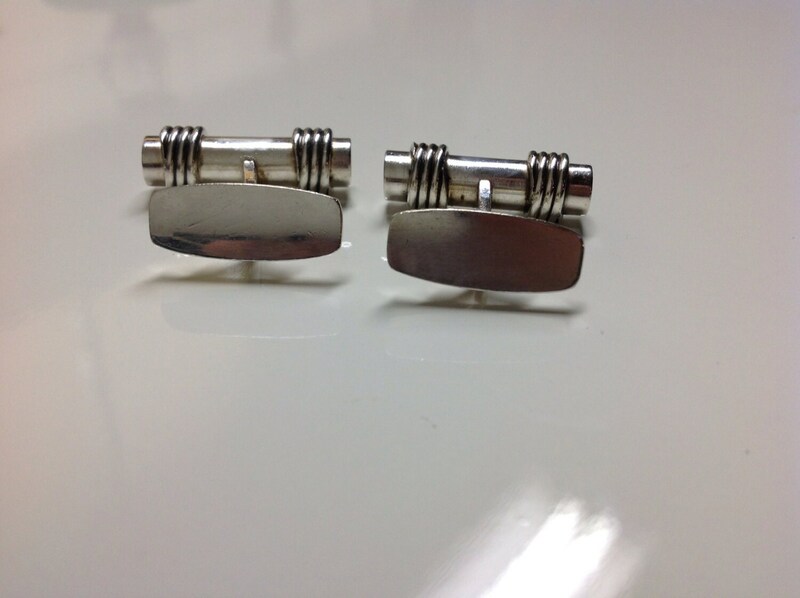 These cufflinks were created during Mikkelsen's independent years (1970-1983), though he later brought this design to Georg Jensen (as design #A22). 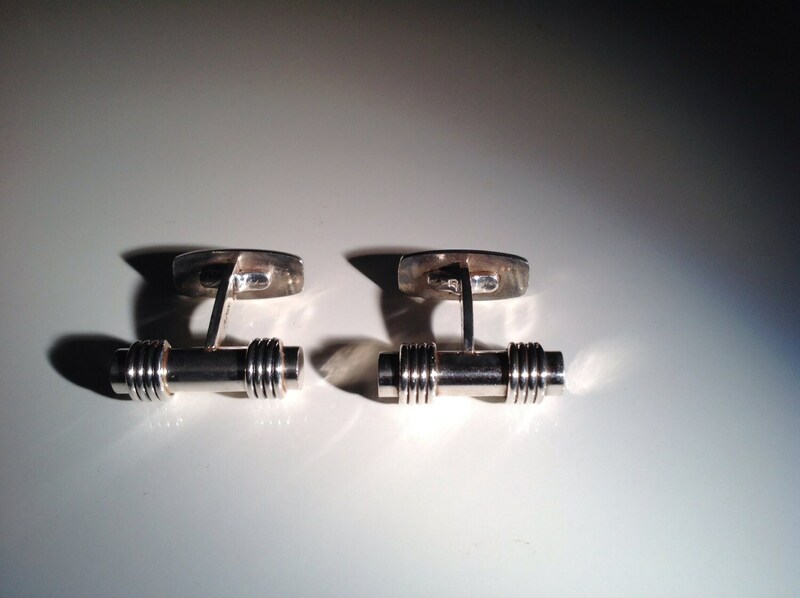 Stamped: "A. Mik", "925S", "Denmark" on both cufflinks. Andreas Mikkelsen was a sales manager at Georg Jensen Silver Forge in 1963, he was a positive character, and in the first seven years of his career was advancing to silver smithy. 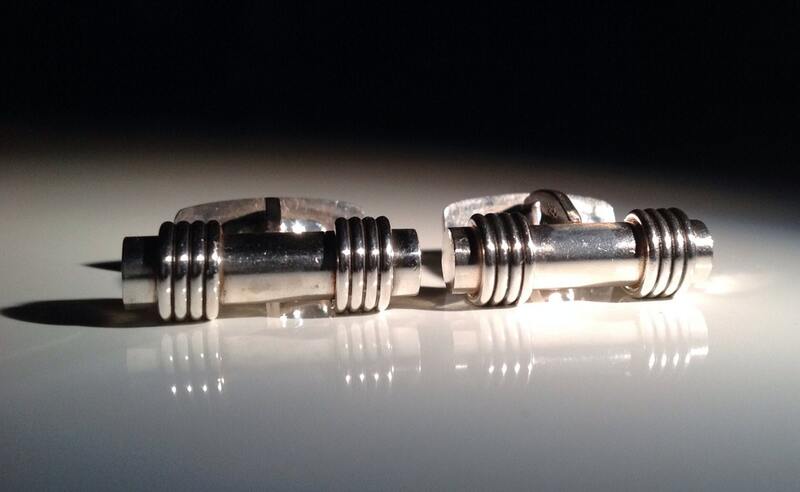 In 1970, Andreas Mikkelsen developed his own design company, A / M Design, that developed custom designed jewelry. Here he was director for eight years before returning to employment in Georg Jensen Silver, where in 1983 he became director. In 1992 the Andreas Mikkelsen both Kay Bojesen Award and the Design Plus Award.